Abigail, Mary, and Elizabeth grew up in Weymouth, Massachusetts, the close-knit daughters of a minister and his wife. 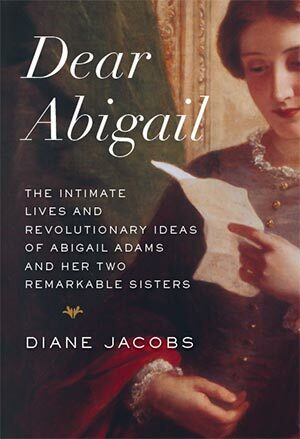 When the sisters moved away from one another, they relied on near-constant letters— from what John Adams called their “elegant pen”—to buoy them through pregnancies, illnesses, grief, political upheaval, and, for Abigail, life in the White House. Infusing her writing with rich historical perspective and detail, Jacobs offers fascinating insight into these progressive women’s lives: oldest sister Mary, who became de facto mayor of her small village; youngest sister Betsy, an aspiring writer who, along with her husband, founded the second coeducational school in the United States; and middle child Abigail, who years before becoming First Lady ran the family farm while her husband served in the Continental Congress in Philadelphia and traveled to diplomatic missions in France and England, where she joined him at last.